To celebrate Polar’s 40-year journey, we have good news to everyone who loves beautifully engineered products and extremely accurate heart rate readings: The new Polar H10 heart rate sensor is now available in the official Polar webstore for 89,90 € / $89.90. What’s new with Polar H10 heart rate sensor? There are actually two parts that make up the Polar H10 experience: the Polar H10 heart rate sensor and the new Polar Pro chest strap. Polar H10 is compatible with all Polar watches and trackers that use Bluetooth to transfer data. We’d like to think that when you can improve on something that is already the standard for accurate heart rate readings, you can be truly proud of what you’ve accomplished. If you already have the Polar H7 heart rate sensor and are thinking of upgrading, here’s a nifty comparison chart. One of the most notable features is Polar H10’s internal memory that can be used to store one training session. This comes in handy in situations when you don’t want to wear a sports watch or can’t take your phone with you, for example swimming, volleyball and basketball. As of now, you can record a session with Polar H10 by starting the recording on Polar Beat – our free fitness and training app available for Android and iOS. Watch the video to see what this means in practice. As of now, you can only start the recording with Polar Beat. Once you start the recording, keep wearing Polar H10 until the end of the session. If you take it off, Polar H10 will sense that you have ended your session. Stop recording with Polar Beat or by taking the sensor off the chest strap. Download the training session via Polar Beat.  For more quick tips on using and taking care of Polar H10, see our Polar H10 support pages. What about Polar H10 and GoPro? Polar H10 is capable of transmitting heart rate data to GoPro devices, but we’re still working with GoPro to put this into practice. We’ll keep you posted. Edit January 30, 2018: GoPro has discontinued their Developer Program, which provided SDKs to Polar to build connectivity to GoPro cameras. As a result, this will limit our ability to provide continuing support for connectivity to future GoPro cameras. Where and when can I get my hands on this? You can order the Polar H10 in the official Polar webstore – right now. What is cardiac drift and how does it affect heart rate based training? Sports scientist, marathon runner and Ironman finisher Benjamin Garcia gives us the nitty-gritty. Great news for all Polar M430 owners: continuous heart rate measurement is now available. Find out what it is and how to get started. Introducing the next evolution of sleep tracking – Polar Sleep Plus™.